If you’d characterize Israel’s land according to the same proportions of a human body, then this week its shins are being battered hardest of all. The knees have been getting a beating, and sores have been spreading ever higher, through the thighs, into the stomach and even the heart. The shockwaves have pummeled kidneys, lungs, the chest, and now are inching their way up to the shoulders and chin. The majority of this body’s arteries and cells have taken a beating, if not actually then at least by virtue of near-hits and misses. The forehead has been spared thus far, except for a small migraine that hit one of the temples early this morning. And somewhere around the middle of the high forehead, verging on the hairline, I’m hoping that the pain will subside and that the body will quickly recover. Speaking of hairlines, I’d decided to take a break from the news alerts by booking a hair appointment this morning. It possibly wasn’t the wisest idea because Fridays are the first day of Israelis’ weekend. And such a Friday, at the tail end of the first week of Operation Protective Edge will, of necessity, entail conversation exclusively centered on “ha-matzav” – THE situation. 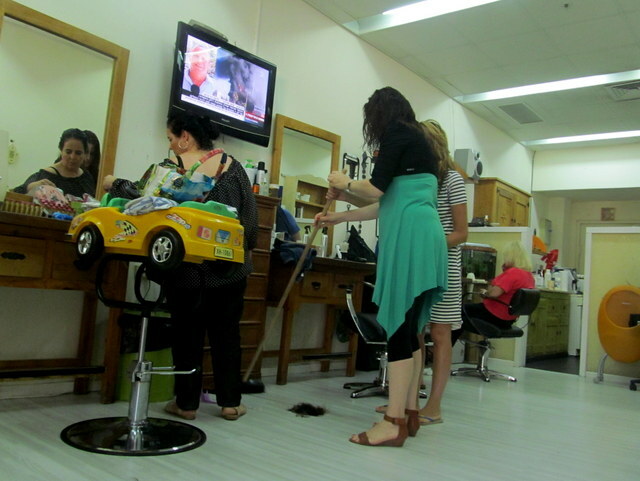 When I enter the hairdressing ‘salon’ – and like most other services in this village, Nir’s is the only hairdresser in town – the place is swarming with middle aged women, wrapped in black gowns, large gobs of dark dye drying on their combed-back hair. They’re seated on benches and chairs, eyes glued to newspapers or the large flat screen TV. There’s no refuge from the sad reality of this region; this situation, aka ha-matzav. 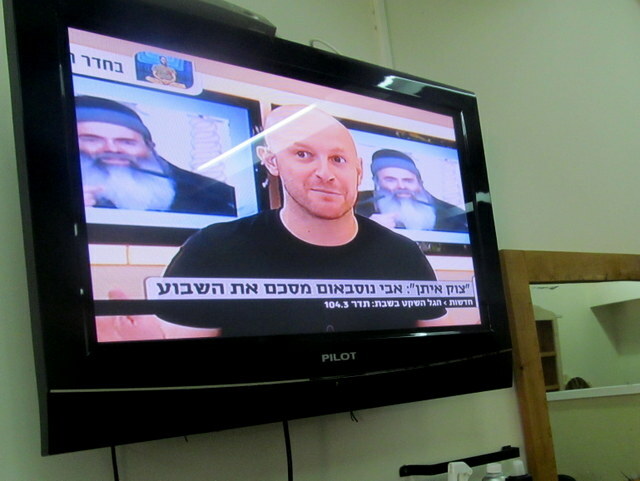 So there’s no point asking Nir to change the channel; it is always tuned to the news and the mere suggestion of changing channels would be tantamount to heresy. Even if the TV blares with nothing but bad news only a few hours’ drive away, life here still goes on as usual. In fact, it’s surreally quiet up in this northern enclave, from where I can see the cedars and hills of Lebanon. Unlike the change of lifestyle in the center and south of the country, children here still go to camp and are today splashing about in the “country” (so-called village pool and club). Adults are shopping as usual, stocking up on freshly baked goods and cheeses from kiosks set up every Friday morning in the only commercial center in town. They’re also engaged in their favorite pastime activity; groups gathering together each week to discuss the pros and cons of the current military operations, the statements of the prime minister, politicians, Barack Obama and the BBC. These so-called “parliaments” – largely comprised of friends, colleagues and political allies – are nothing short of heated, sometimes escalating into vocally aggressive and intractable arguments. But the sticky-haired women inside the hair salon are a toned-down bunch, exchanging the occasional comment made by a pundit or psychologist. I watch a so-called expert on a news program explain that parents can minimize the fear factor in their children, by recording a siren sound, then repeatedly allow their children listen to the recordings, allowing them to adjust the volume. This, he seems to posit, is the way to buffer children from the anxiety of sirens and rockets. Normalizing war’s horrific reality. After more than thirty minutes’ wait (most of which time I spend walking around outside), Nir calls me over. Dressed in cut-off shorts, t-shirt and flip-flops, this native is the anti-thesis of trend. He’s the sole hairdresser, color-mixer, dye- and tint-applier, cutter, stylist and cheerleader. His one assistant handles manicures and pedicures. She also has a funny habit of sticking a mug of wax into a microwave that has a full crate of eggs sitting on top; I wait for the eggs to explode from the heat, but surprisingly, they stay intact. Nir applies color to my hair while I kneel and shift around on my pillow. A much-needed break on the news program happens when a comedian offers suggestions on how to cope with the matzav. But first he wants Hamas to give him the memo straight, because trying to avoid rockets by running from one town to the next, hiding out in one shelter after the other, really isn’t working for him. His shtick melts the panic, much like the entertainment and face painting that’s been delivered to kids stuck in shelters down south. 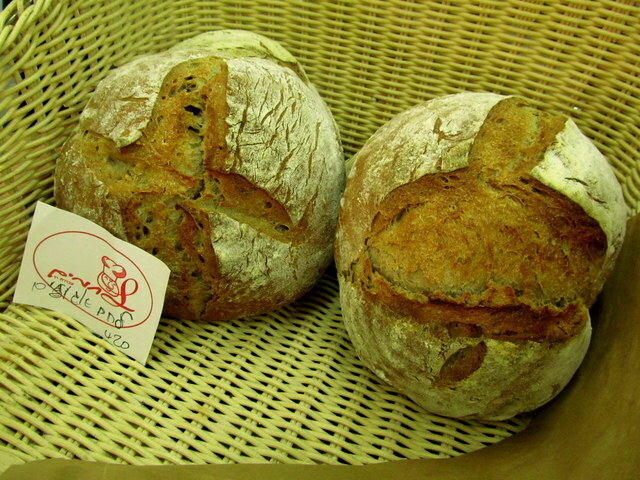 Some of the absurd scenes that unfold one after the other inside the four walls of Nir’s shop are hard to miss; two women have their arms full with straw baskets full of freshly baked loaves of bread. 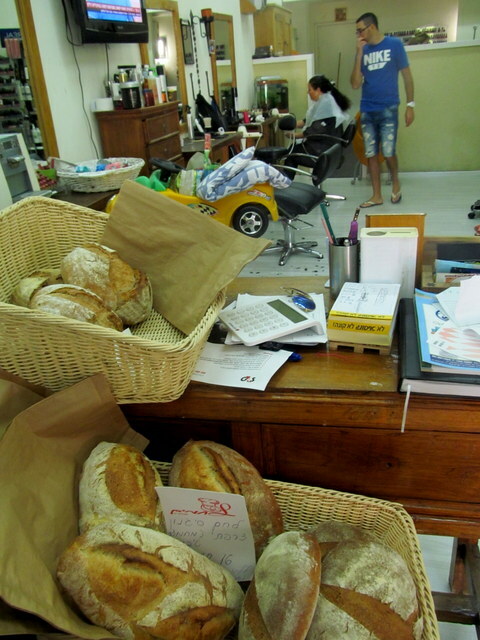 They deposit the baskets on Nir’s front counter and chair. The scent of flour, herbs and sun-dried tomatoes so overpower the waiting patrons that they rise almost in unison, waddle over to the counter, pick and package nearly the entire contents of both baskets. One-stop shopping. Then a disagreement arises over the respective times allotted for residents of each city – depending on that city’s relative distance from ground zero launching sites of Gaza’s missiles. They argue over how long it takes to get to the shelter, depending on various factors; and each one seems to have the last word about how many seconds the residents of this village are given to seek safety in shelters. One woman insists that every second counts; in some places, people have up to one minute to seek shelter, but we here don’t have ANY time, we have to get inside immediately. There’s a sudden uproar, expressions of doubt and concern volleying back and forth. The ruckus dies down once the women, one by one, are dried, curled and complimented. On their way out, they cast a last glance up at the screen; with a sigh, they walk out. Just another day in the life of Israelis, on the edge. Oh, and about my hair, well.. let’s just say that I wish I’d had Operation Protective Edge guarding the border around my hair this morning…. It’s hard to imagine that reality. Impossible actually.Thank you for describing Israel’s current plight from your reality, the perspective of a hair salon, people doing normal, everyday things in a completely abnormal, highly stressed environment. Thnx Lottie. I don’t know how one really gets “used to” hearing shell fire, guns and tanks… even Israelis. I’m sure it left an impression on Serena that most tourists – even long-term, volunteers – are spared. In hindsight that was the wrong choice of words! I think what I meant was, that after a while the shock that she initially felt on hearing them, wasn’t quite so scary – in a sense she became accustomed to hearing them, hideous and shocking though they were. It certainly left a lasting impression on her though I know that she’s keen to go back.